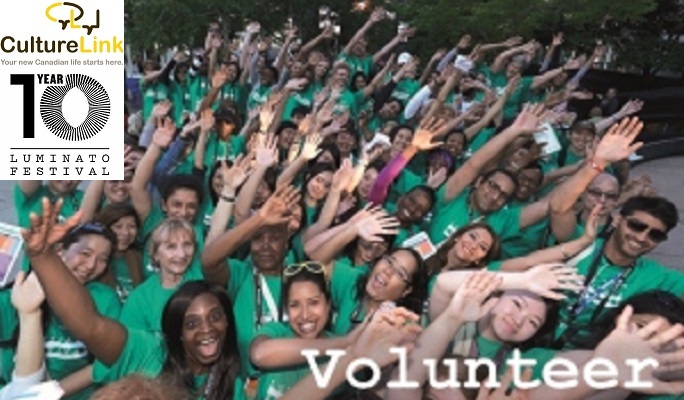 Luminato 2016 – Calling Newcomer Volunteers! CultureLink serves newcomer clients in the city of Toronto, offering various programs to meet the needs of new immigrants and helping them integrate in the community. Luminato Festival is Toronto’s international multi-arts festival for people open to having art change their outlook on the world. Each June, Luminato Festival transforms Toronto’s theatres, parks and public spaces with hundreds of events celebrating theatre, dance, music, literature, food, visual arts, magic, film, and more. Celebrating its 10th anniversary in 2016, in just under a decade, LuminatoFestival has become one of North America’s leading arts festivals. 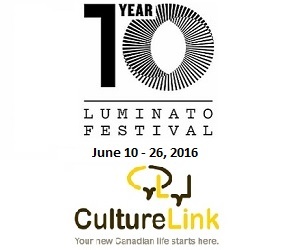 The 2016 Luminato Festival runs June 10 to 19. In partnership with CultureLink, a settlement agency in Toronto, Luminato Festival is looking for newcomer volunteers who are interested in engaging with one of the world’s leading multidisciplinary art festivals while learning new skills, expanding their network and exploring he City of Toronto, with the help of a Mentor. BindiDates is the leading online dating site for South Asian Singles in Canada and USA.